The Heretic Kingdoms Await! Shadows: Awakening out now! The wait is finally over – it’s time to begin your journey in the dark world of the Heretic Kingdoms as Kalypso Media announce the release of the new action RPG Shadows: Awakening. 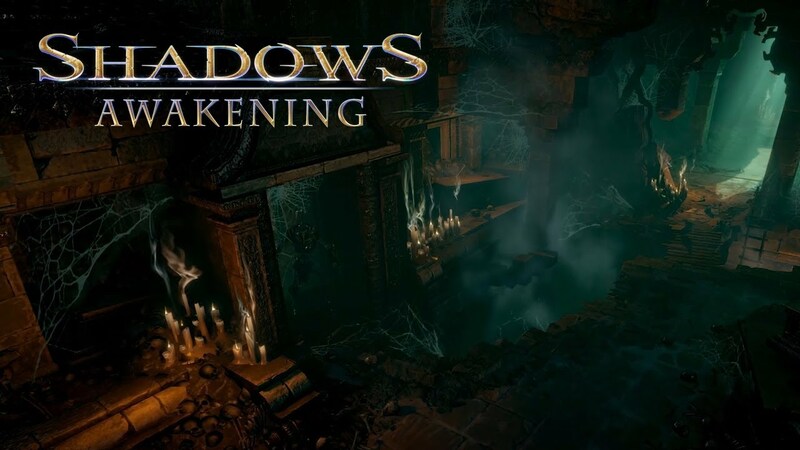 Available globally on PC via Steam and across the UK and export territories on PlayStation®4 and Xbox One, both boxed retail and digitally, Shadows: Awakening takes you on an epic adventure as you journey between two realms as the Devourer, an ancient demon summoned from the Shadow Realm, and his puppets – the consumed souls of deceased heroes from the mortal world. Together, you will unlock the secrets of the Heretic Kingdoms in a gripping storyline set in a world full of myths, destinies and legendary creatures. In Shadows: Awakening, you’ll need to choose your party of heroes carefully to defeat your enemies, tactically switching between realms to unlock secrets, solve quests and combine spectacular abilities in combat. Take a look at the brand-new action-packed gameplay trailer to see what awaits you on your quest. A Tale of Two Worlds – In a parallel universe inhabited by demons and monsters; seamlessly switch between the Shadow Realm and and the mortal plane and witness a gripping storyline in a world full of myths, destinies and legendary creatures. Enchanting and Looting System – Expanded crafting and looting system will let you use rewards to configure the ultimate adventurer.